Whose Fault Are Distracted Emergency Vehicle Accidents? On the heels of AAA’s study concerning regarding the most distracting voice-activated in-car systems, discussion is growing throughout communities about the dangers of in-car digital systems. Undoubtedly, innovative connected technology is making in-vehicle communication even simpler for the average driver. Touchscreens mounted on dashboards and voice-activated Bluetooth capability make exchanging phone calls and texting easier– and more tempting– than ever before. Yet, at the same time, states are passing laws and heavy ad campaigns to discourage drivers from texting and calling behind the wheel. Based on distracted driver studies and real-life accident rates, we’re gradually realizing that humanity is having technology to which they can’t immediately adapt thrust upon them. 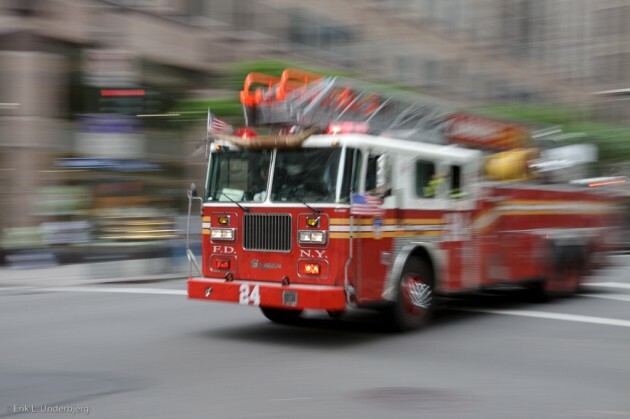 With the rise of connected vehicle communication technology, there’s also been a documented rise in distracted emergency vehicle accidents, which begs us to consider how responsible emergency personnel are for distracted driving accidents. If you look at accident rates across the nation, you’ll see a rapid increase in emergency vehicle accidents caused by at-fault distracted operators. In California alone, distracted emergency vehicle accidents (which includes police cars, fire trucks, and ambulances) caused 180 traffic collisions in 2013. According California’s Statewide Integrated Traffic Records System, that’s an increase from 165 in 2012. That’s not just a one-time increase, either. The same records system shows that over the past decade, distracted emergency vehicle accidents have increased 122% in California. In-car computers were specifically cited for over a quarter of emergency vehicle accidents in 2013, which doesn’t include the heavy use of smartphones. And, as we know from the death of Milton Everett Olin by a distracted officer this year, not only can technology behind the wheel cause accidents, but prove fatal to pedestrians and bicyclists. Clearly there’s an issue with distracted driving based on the number of emergency vehicle accidents, as California is only a microcosm of the problem around the world. So, what should be done? What should be done about emergency responders who use digital technology? 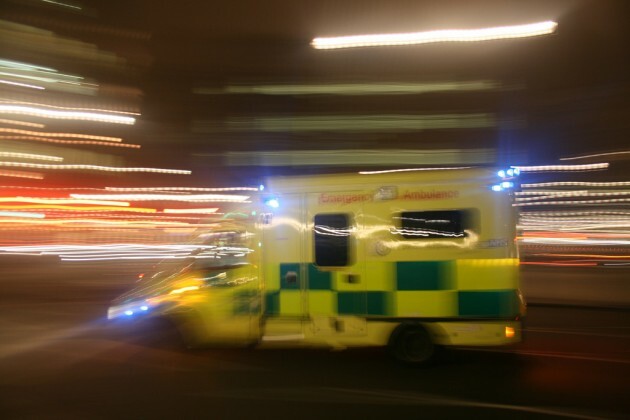 What Should Be Done about Distracted Emergency Vehicle Accidents? First of all, we’re not suggesting that emergency personnel are out of control or a threat to innocent people. They sacrifice their time and safety to perform difficult and dangerous jobs to keep civilians safe, and for that we should all be incredibly grateful. But the growing number of emergency vehicle accidents begs the question of whether or not emergency personnel are above the law and should be regulated. “While motorists in California are prohibited from using hand-held cellphones, drivers of emergency vehicles — who spend a disproportionate amount of time on the road — are generally exempt from such laws in the course of business and can use their in-car computers on the job,” noted Brenda Gazzar of the Los Angeles Daily News. On one hand, if you were in danger and a nearby police offer could help you, you’d want a fast response, wouldn’t you? But if the police officer was responding to an emergency request and collided with an SUV in the process, the SUV driver surely shouldn’t be responsible for paying insurance costs to repair his/her vehicle. Situations like those create quite a gray area. Thus, an increasing amount of agencies across the country are investigating their vague policies that don’t prohibit cellphone and in-computer use during “extenuating circumstances.” Many agencies are limiting the use of electronic devices behind the wheel, but with such vague guidelines and moral gray areas, we’re all let wondering what the solution is.